The time has come to have some fun so lace up your SHOES! Hope you don’t get BOWLED over with what I have to tell you. I know you are saying... “SPARE me the hoopla just give me the details” ... Okay so if you have not guessed it, I am talking about the Youth/Junior Annual Bowl-A-Thon. This great event will take place on Saturday, April 21, 2012 at 11 A.M. to 1:00 P.M. at AMF Lanes, 748 Silver Lane, East Hartford, CT for bowling. The fee to bowl is $10 per person and this includes the cost of the TWO (2) games and shoe rental. 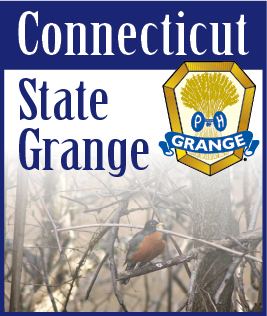 Entry blanks and rules are available by contacting me or by going to the State Grange website, www.CTStateGrange.org. Pledge forms are also available. Come out and show your Grange Spirit and have some fun at the same time. Let’s make a STRIKE for the Grange!!! Please make sure that you get your entry form in by Saturday, April 7, 2012 as there will be no walk-ups on Saturday, April 21, 2012. No Exceptions! If anyone has any questions, please contact me at youth@ctstategrange.org or 203-238-1510.